This recipe seems to be getting a lot of air time. It’s Heidi Swanson’s from super natural every day. It just occurred to me how wonderful it is to be able to go on the web, look up a recipe, and find dozens of versions from all over the world. Perhaps I should have clued into the amazement of this earlier but, alas, I didn’t and it’s a pleasant discovery. All the variety, individuality, creativity, uniqueness, and collective interest is wonderful. One recipe I found added mushrooms to this dish which is something I wondered about adding last night but didn’t – more from laziness than anything. But I agree with whoever that person is that added mushrooms wherever they are – great idea. In large skillet over low heat, combine the coconut oil, shallots, red pepper flakes, garlic, and ginger. Cook slowly, taking care not to brown the ingredients and stirring occasionally, until the garlic cloves are soft throughout, about 15 minutes. While the garlic is cooking, whisk together the shoyu, cane sugar, and water in a small bowl. 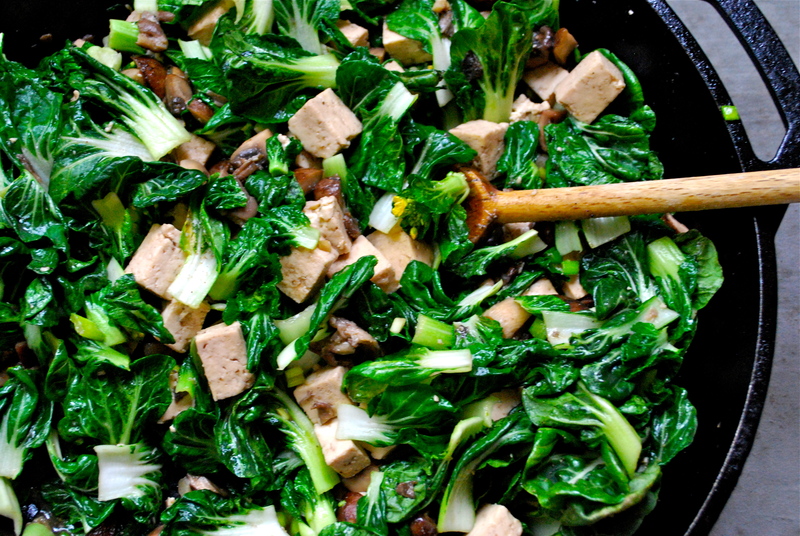 Increase the temperature under the skillet to medium-high and add the tempeh. Gently stir to get it coated. Add the shoyu mixture and stir again to coat. Cook for a minute or two, then add the cauliflower. Stir and cover. Cook for about 3 minutes. 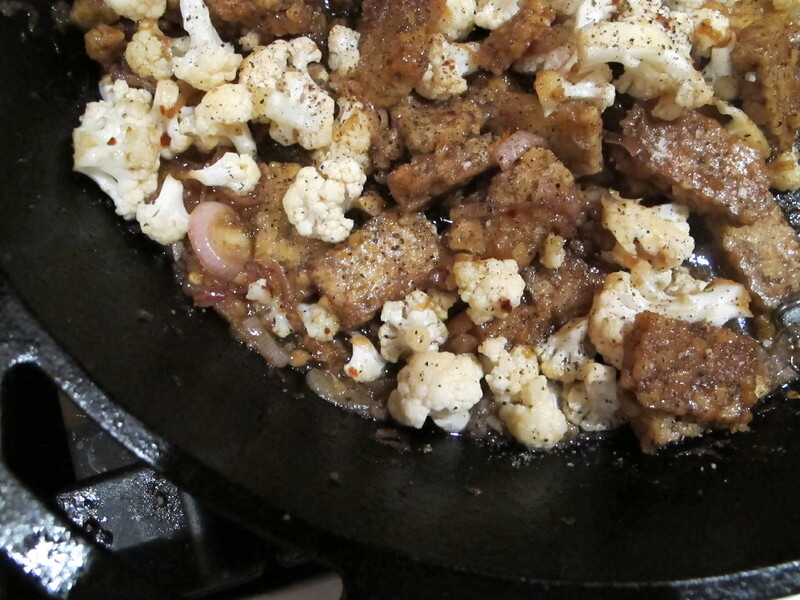 Uncover, turn the heat up even more, and cook until the cauliflower and tempeh starts to brown. If you need to add more water to prevent sticking, add 1 tablespoon at a time. Remove from heat and stir in the black pepper. Taste, add more pepper if you like, and serve immediately. Heidi Swanson of 101 Cookbooks just came out with a printed version of her blog called super natural every day. It’s a beautiful cookbook although I gotta say it involves a lot of cheese and yogurt. There are a few vegan gems in there that are incredibly yummy including this miso-curry delicata squash recipe. I *love* delicata squash and stock up every fall at the farmers’ market since they are often hard to find during the year. They are sweet with a nice robust texture, they cook quickly, and you can eat the skin no problem. 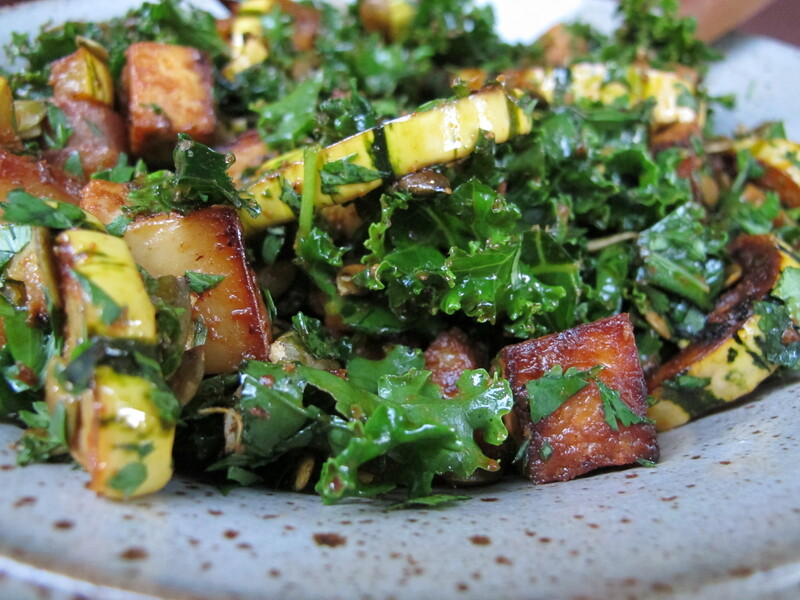 This recipe compliments everything good about delicata with tofu, potatoes, kale and a really simple but interesting miso-curry dressing. We served it with quinoa but it’s a totally satisfying meal all on its own. Preheat the oven to 400 degrees with a rack in the middle of the oven. Cut the delicata squash in half lengthwise and use a spoon to clear out all the seeds. Cut into 1/2 inch thick half-moons. 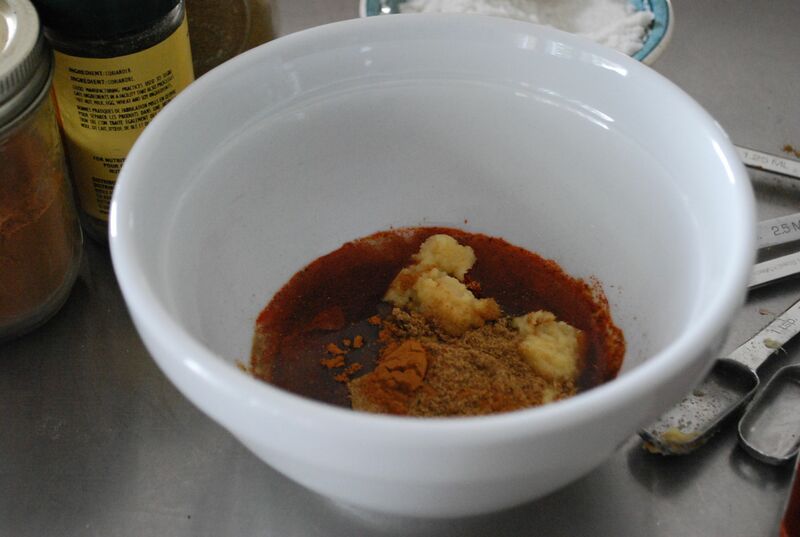 In a medium bowl, whisk together olive oil, miso, and curry paste. Combine the tofu, potatoes, and squash in a large bowl with 1/3 cup of the miso-curry paste. Use your hands to toss well, then turn the vegetables onto a rimmed baking sheet, and arrange in a single layer. Roast for 25 to 30 minutes, until everything is tender and browned. Toss once or twice along the way, after things start to brown a bit. Keep a close watch, though; the vegetables can go from browned to burned in a flash. In the meantime, whisk the lemon juice into the remaining miso-curry paste, then stir in the kale until coated. Toss the roasted vegetables gently with the kale, pepitas, and cilantro. Serve family style in a large bowl or on a platter. I learned something this weekend. Tofu doesn’t sweat. I was making Vij’s spice-encrusted pork for the family for Easter and, given my non-meat-eating-leanings, decided to make double the marinade and use half for tofu. A few of the flexitarians in the family had both and couldn’t believe the difference in heat! I realized then that OF COURSE pork sweats as it cooks and thus dilutes the marinade. Tofu does not. 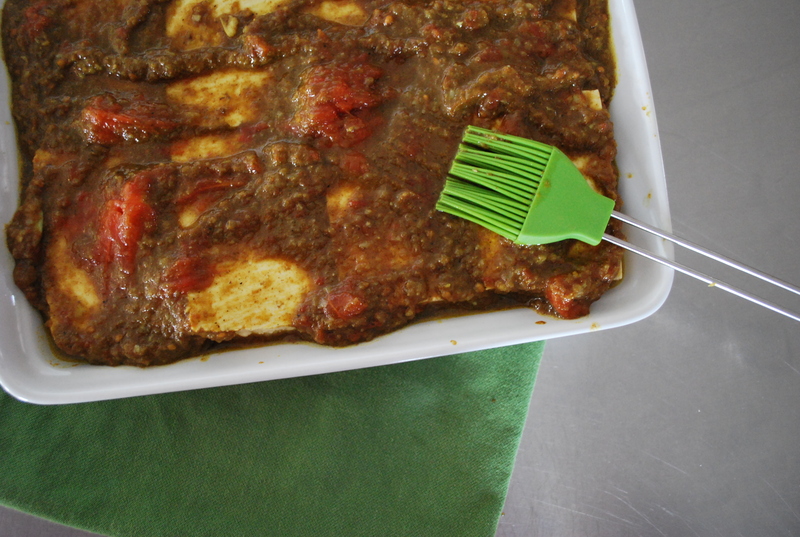 So if you like heat, charge ahead with the super-scrumptious recipe below. If your taste buds are a little more sensitive, just cut down on the cayenne and you should be fine. Way to go Vij. Awesome recipe. Heat oil in a medium-large pot on medium heat for 1 minute. Add cumin seeds and allow them to sizzle for 1 minute. Add garlic and saute for 2 minutes, then stir in onions and saute until brown, about 15 minutes. Add ginger and saute for another 2 minutes. Stir in tomatoes, turmeric, cayenne, garam masala and salt, cover and cook for 5 minutes. Stir in sugar. Coat tofu with marinade and let sit for 1 hour or so. Bake at 350 degrees for 1/2 hour, or place tofu on BBQ and cook until golden brown. I owe thanks to my sister Mary for this recipe. She used it at Christmas. She doubled the recipe – one batch to stick on some pork for the meat-lovers in the family, and one batch to put on some tofu. The tofu was fabulous. I can’t comment on the pork but I hear it was equally good. It’s super simple and very good. And the kids love it. 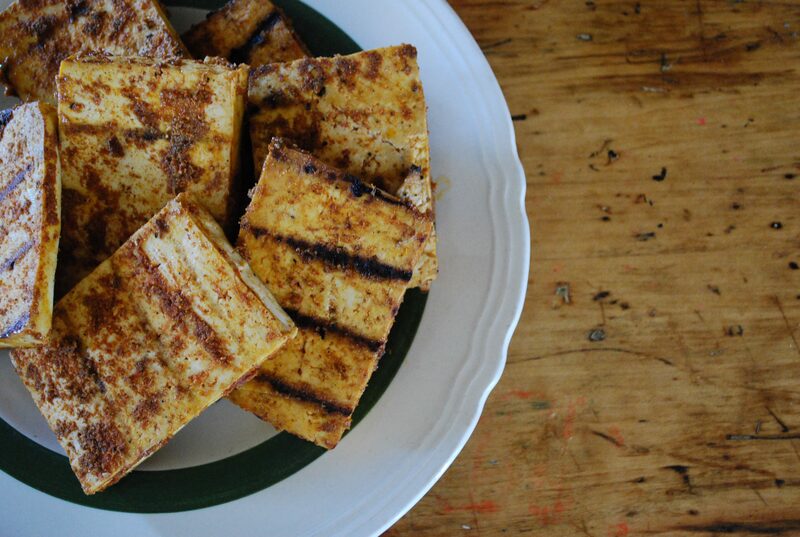 Marinate the tofu in the marinade. Saute in a heavy saucepan over medium-high heat, or throw on the BBQ for that extra smokey flavour. This is from the rebar cookbook. Their recipe is actually eggplant and tofu satay but I don’t love eggplant and so substitute zucchini for it whenever I get the chance. We tried it tonight and it was really good. It would have been better had we started the marinade yesterday but we just aren’t that organized so, instead of 24 hours, it marinated for about 1 hour. Nevertheless it was still awesome and got the thumbs up from Rebekah! Prepare the glaze by whisking together the first eight ingredients in a small bowl. Set aside for 1 hour, then strain through a sieve to remove the solids. (I must admit I didn’t strain. Why bother?) Next, cut pressed tofu into 1-inch cubes. Arrange them in a single layer in a shallow dish with sides. Pour half of the glaze over the tofu, toss to coat, and marinate in the fridge for at least 1 hour, preferably overnight. Slice zucchini into 1/2″ thick coins and pour remaining glaze over the zucchini. Toss to coat and let marinate for 30 minutes. To assemble, pre-heat the grill to 375 degrees. Thread 4 cubes of tofu and 4 half coins of zucchini per skewer, leaving a bit of space between each piece. Reserve glaze for basting. 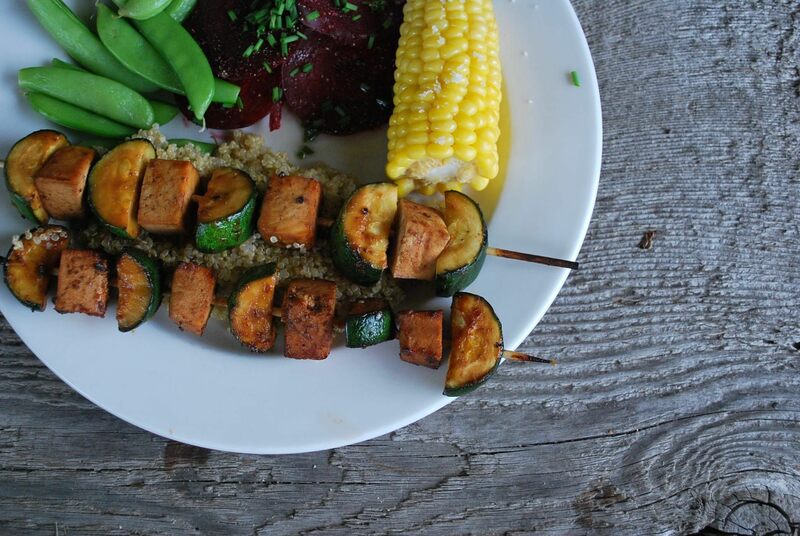 If oven-baking, arrange the skewers on an oiled baking sheet and bake for 20 minutes, or until the zucchini and tofu are golden and cooked through. Halfway through cooking, turn the skewers over and baste. Serve hot and use leftover glaze for dipping. 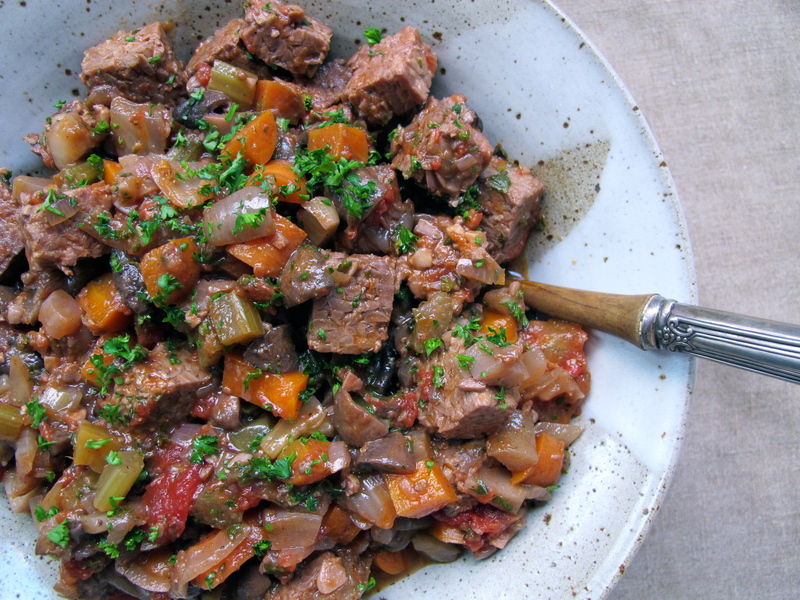 This is perhaps one of the quickest and easiest mid-week dinners for moms and dads on the run. We make this all the time because it’s so simple and so fast. I usually stick to the stated ingredients but I suppose you could substitute type of greens or type of mushrooms. You could also get fancy and other complimentary additions like red pepper or celery but, again, we make this when we’re on the run so tend to keep it simple. Heat olive oil in a heavy frying pan on medium-high heat. Add tofu and sauté until nicely browned. Add mushrooms and sauté until they begin to sweat. Add garlic and cook until fragrant but don’t let it brown too much. Add ginger, soy sauce, and sugar stirring until mixed and bubbling away. Add bok choi, turn down the heat, and cook until it’s nicely wilted but still bright green. If, while cooking, the dish dries out too much, add some water or a little more soy sauce. A hit of lemon juice is also nice. At the very end, add spring onions. Garnish with chopped cilantro and serve over rice.